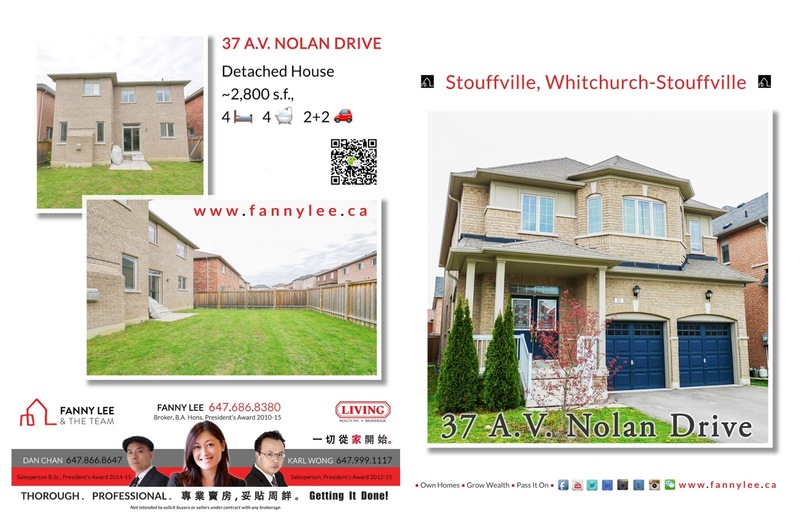 A few weeks ago, we offered an opportunity to those who dream of owning a double-garage detached home in Markham but only at the Stouffville price. Many showed interest. The house was sold quickly. Not to be disappointed, here we just listed 37 A.V. Nolan Drive. on northern border (19th Avenue) of Markham and a little east of Ninth Line. MLS® Number: N3801620 description: "Gorgeous Green Park Built House. Over 2800 Sqft. 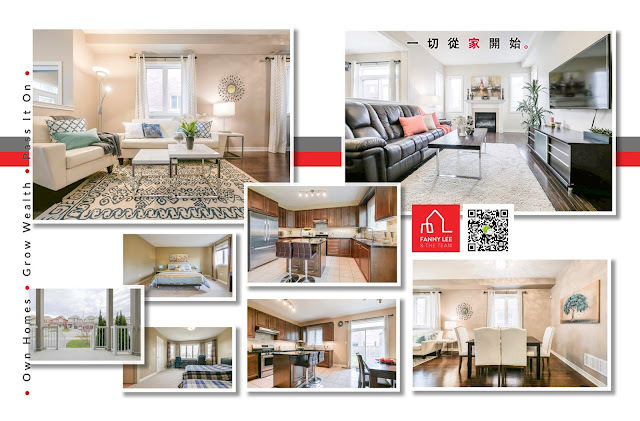 4Bed And 4Bath 2 Ensuite. Lots Of Upgrades And Reno. 9Ft Ceiling. Bright And Spacious Layout. Hardwood Floor. Oak Staircase. Upgrade Modern Kitchen W/ Granite Counter, Backsplash, Pantry And Centre Island. Grand Double Door Foyer. New Lights. Master Rm W/ 5Pc Ensuite And W/I Closet. Covered Porch, Deep Yard. Close To All Amenities. Must See. **** EXTRAS **** S/S Appliances: Fridge, Stove, Vent Hood, Washer & Dryer. All Elfs, Window Coverings, Cac, Fireplace, Garage Opener, Main Floor Laundry. 3Pcs R/I, Cold Room. Can Park 6 Cars."